Christmas is a great time to craft with kids, since it allows them to join in on the holiday fun and even make gifts for family members and friends. There are many projects that are appropriate to make with children. Some require adult supervision, and others are perfect for children to make independently. From holiday decorations to special gifts, there are lots of great Christmas craft ideas for kids. Holiday decorations are fun to make, and they're a great way for kids to admire their own handiwork all season long. From calendars to ornaments, these easy, crafty Christmas decorations will have your home looking festive while keeping kids occupied in creative projects. 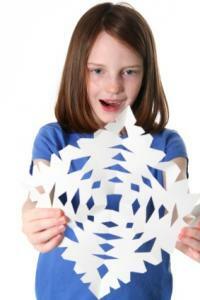 Create a beaded snowflake on that next snowy winter day. You can hang the snowflake from a ribbon to make an ornament. Best for kids over the age of three due to the choking hazards of small beads, this is a fun project for kids and adults to do together. If you love this project, you may also want to try other Christmas crafts using beads. Make a pine cone Christmas tree ornament using cones you find on a family nature walk or craft pine cones purchased at the store. Because this craft requires the use of spray paint, it's best to have an adult help out. However, after the cones are spray painted, kids can decorate them independently. Christmas tree calendar crafts are fun to make out of everything from felt to paper. These printable tree calendars are perfect for even the youngest in the family. 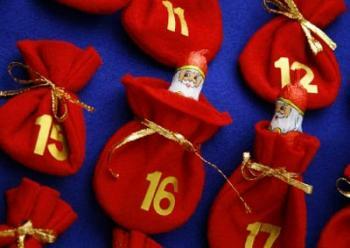 Advent calendars also make great projects. These calendars can help kids learn about the religious meaning behind the Christmas season, and they're fun for everyone to make and enjoy throughout the month. Many of these projects are perfect for independent crafting by older kids, since they don't require dangerous tools or heat. Placemats are an important part of your holiday table, and kids can create them in the days and weeks leading up to the big dinner. You can make Christmas placemat crafts with construction paper, glitter, and other items already in the craft supply closet. Kids can make their own version of Frosty the Snowman to decorate the holiday table or hang on a wall. There are lots of great snowman crafts for kids, most of which don't require any fancy supplies. These are perfect independent crafts for older children. Simple handmade Christmas gifts are another way for kids to get in on the crafting fun this holiday season. Fun, personal, and affordable, these crafts are the perfect way for kids to show friends and relatives how much they care. 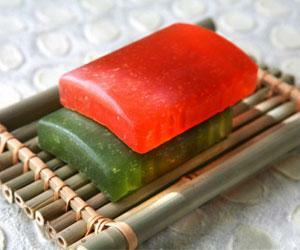 Making melt-and-pour soap is a fun and rewarding craft for kids to do with adult supervision. Since most Christmas homemade soap recipes require the use of heat and careful pouring, this is a great choice for the whole family to make together. Use holiday-themed soap molds and colors to make special gifts for everyone on your list. It's customary for kids to give a small gift to their teachers during the holiday season. Crafty teacher gifts are something teachers will treasure for years to come. From special pencils and magnets to candy jars, these ideas are perfect for older kids to do alone and young kids to do with adult help. Glass baby food jars are a handy craft supply that's perfect for making small holiday presents. From jar candles to air fresheners, there are lots of fun baby food jar crafts that kids can make with adult supervision. For grandparents and other special family members, there's no better Christmas gift than a child's picture in a frame he or she created. Kids can make a quick and easy beaded picture frame using glue, glass beads, and a purchased frame. Since this craft uses small parts, it's best for kids over the age of three. Beaded bookmarks make great gifts, and they also encourage reading. Choose beads in shades of red and green to give the bookmark some festive flair. Since it uses a few jewelry making tools, this project is best for older kids. Christmas crafts aren't limited to just decorations and gifts. There are lots of other fun projects that are perfect for kids, from preschoolers to older children. The youngest crafters can get in on the holiday fun by making preschool Christmas crafts. Specially designed for kids between the ages of three and five, these crafts are simple and short. Most use supplies you already have on hand. Printable Christmas crafts are great for school-aged kids, who love to cut and color. All you need is a printer, some basic craft supplies, and a winter afternoon of free time. Kids can personalize their Christmas gifts for friends and family by making their own wrapping paper. Even the youngest kids can make hand print paper, and older kids can get creative with cut-outs, markers, and other wrapping paper crafts. Kids of all ages love salt dough, and since it's non-toxic, it's perfect for the youngest crafters. Make lots of holiday-themed salt dough creations, from Christmas ornaments to gift toppers. There's no rule that says your family's holiday cards have to come from a store or online service. Why not spend a few evenings as a family making easy homemade Christmas cards to send out to all your friends? 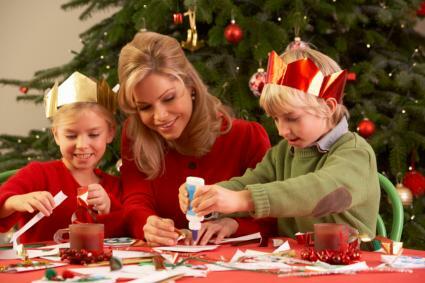 No matter which Christmas craft you choose, kids will love being included in the holiday fun. Whether they're making gifts, creating custom wrapping paper, or decorating the house for the holidays, they'll be making Christmas memories that will last for years to come.